If you can get a hold of a Bible, I encourage you to find the book of John. You should be able to look in the table of contents for it if you do not know where it is. There are three other books of John which are I John, II John, and III John, but we are not looking at those. We are looking at what is called the Gospel of John which comes after the book of Luke. We are using a King James Version of the Bible. John’s Gospel starts off here with the same format as the very first verse in the whole Bible Genesis 1:1 which says, “In the beginning.” John teaches us that the Word was in the beginning with God, that the Word was God, and that the Word created absolutely all things. The Word was life that is Light to men. Jesus is called many things in the Bible to help give us attributes to who Jesus is. One of these attributes is Light. Verse 8 said John is not the Light. John was sent by God to bear witness, (carry a testimony) of the Light so that all people might believe in the Light. Light refers to God’s holiness. Jesus is holy. Darkness refers to evil. When Jesus shines in your life, the evil disappears out of your life. This Word, the Light, was in the world; he made the world; but the world did not know who He was. This Word, the Light, is Jesus Christ, who was the Son of God. Jesus made the world; Jesus is the Light that gives light to every man; Jesus was God! Jesus is equal with God the Father. In Hebrews 1:8, we see God’s Son referred to as God. Don’t be confused by what other people may say. The first verse told us that the Word was God. Dear friend, Jesus was God! Jesus came to his own people, the Jews, but most of the Jews did not receive Jesus as their Messiah. Jesus, however, was a Jew. Would you like to be a son of God? Anybody who believes in Jesus and receives Jesus will become a child of God. Jesus’ name means “Jehovah (God) saves.” If you believe that Jesus will save you from God’s punishment for the wrongs you have done, you will be saved and be born into God’s family as God’s child. This happens because God saves you and not for any other reason. Jesus, God’s Son, was made flesh and lived among us people. 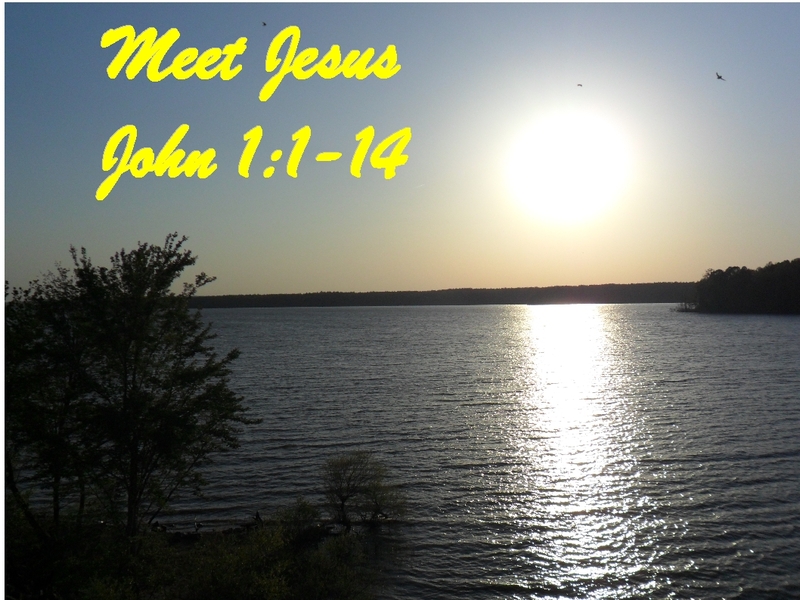 John (who wrote this) saw Jesus’ glory which was the glory of the only begotten Son of Father God. Jesus was full of grace in that He gives eternal life to any who believes in Him. Jesus was full of truth. Jesus is real! He is not a myth! Other religions are false. Jesus is true! You can count on Him! Why is Jesus called the Word? I believe it is because as you read God’s Word, the Bible, you will see more and more of Jesus. In other words, you can have a relationship with Jesus and learn who Jesus is by studying and learning from the Bible. If you don’t believe me, try it. Start by reading through this book of John. Yes, some good Bible believing people can be very helpful and teach you the Bible. However, let God guide you in your endeavor and make sure you study the Bible for yourself! God warns many times of false teachers! Make sure what people teach you about the Bible is in the Bible.